"Impressed with Speed & Quality"
"Responsive Service, Excellent Work on Kitchen Reno"
"Excellent Customer Service, Knowledgeable Technicians"
"Quality, Professional Service & Wonderful, Positive Attitude"
"Good Communication & Follow Through"
"Courteous, Efficient, Knowledgeable & Tidy"
"Very Impressed by Attitude, Level of Service"
"Hundreds Lower than (Competitor's) Quote"
"You Do Too Much for Me"
"On Time & Worked Diligently"
"Willing to Answer Any Questions"
"Appreciated Their Approach to Their Work"
I just would like to express how impressed we have been with your staff. This is not the first time we use WBM we will continue to do so and gladly recommend WBM to others. We have been very impressed with Bryan. However, I would like to especially share how please I have been with both Jody and Cassandra, who replied to some of my text on her own personal cell. I thought it was a work cell and she would see it in the morning, yet she replied during the evening. When we had a hiccup, Jody was on it on the Monday and she was fantastic. Not to mention Bryan who went super early, in the snow, to pick up our part and come to fix the issue. Again, this is truly impressive…. I also put a review on review of WBM on Google review. Thank you so much for the excellent and professional service, as well as care you provided us. We could not be happier with our heating improvements, and they could not have come at a better time. The replacement of our old HRV unit with a new Venmar unit has now been completed. I would like to take this opportunity to let you know that I was very impressed with your installer Bill. He was very professional with this installation considering the environment of working in a hot insulated attic. We also appreciated him giving us the option of either installing a condensate pump and plumbing to an attic vent as originally discussed or the option we chose of simply using a water container under the unit which I assume would result in a credit for the pump. I also was able to have my electrician install the low voltage wiring into the existing controller box. In closing I would like to say that both my company and myself have worked with many tradesmen over the years and found Bill to be among the best. I would not hesitate to use your company in the future for any installation within your area of expertise. Thank you, to you and your team for the hard work at the Woodgrove Centre Renovation project. West Bay was easy to deal with and responded quickly to actions items. We were impressed by the management of West Bay’s Subtrades. We appreciate the late hours, efforts, and planning. You even get a Gold Star from Claude. Our team looks forward to future opportunities to work with West Bay. Thank you so much for getting that heat pump in this month! The boys you sent were terrific and so nice to explain stuff to me. I couldn't have asked for a better crew than Joe and the boys!!! I forgot to mention what a super job the boys did on the install. Joe and Ian, Clint and Dallas and even Ben, who was only here for one of the days. What great group of guys. West Bay just finished converting our old oil fired boiler with a new high efficiency gas unit. They did everything from disconnecting the old unit, removed all of the old metal piping then reinstalled new Pex piping, valves, pumps and associated hardware along with the boiler. The crew was totally professional, accommodating and very knowledgeable. They treated us as though our project was the only one they had so fully focused the whole time. The results were nothing short of amazing. Thank you Dave for hiring the best and allowing them to do what they do best. Thanks so much Tristan for doing this extra work for us. We really appreciate it. You and Stu were great and we sure are loving our new bathroom! Big thanks! This is just a short note to tell you how happy we are with the installation of the HWT yesterday. We really appreciated the fact that Guenter did such excellent work. He was on time. He was extremely careful when he took the old tank out and when he brought the new one in. He explained things when I asked questions and altogether the work was done in a very professional manner. We will definitely keep your company in mind when the need arises in the future. I am extremely pleased with the furnace—noticeably smaller and extremely quiet compared to the old single stage furnace. We of course haven’t had it crank out a huge amount of heat yet but I’m sure that it will still be much quieter than what we were used to when it is pumping out heat in mid-winter. I like the new location of the furnace. The water heater jammed into the corner is now easily accessible. It could be my imagination but moving the furnace slightly to the front of the house seems to produce a little more air flow out of the registers furthest from the furnace. I am extremely impressed with the work of the gas fitter Tristan. The pipes connecting the water heater, furnace, and two fireplaces looked like a mass of spaghetti sandwiched between the water heater and furnace before. The piping was completely redone. It looks neat, is smartly laid out, and properly secured in place. As I said, and it’s worth repeating, I am extremely impressed with this work. Looking at it you can clearly see that this was a professional job, done by someone who cares about the quality of their work. I am extremely pleased with all the work that was done. You have a good crew, and they left the place probably a little cleaner than when they arrived. Our hot water tanks have been installed and they simply work great. We were impressed with Guenther as he took care and obviously is well versed in what he does. He was courteous, always on time and cleaned up everything that needed to be done. He is a credit to your company and I would be most appreciative if you could pass on our deepest thanks and appreciation for what he did. He was fabulous!!!! Thanks to you as well for following through and keeping us posted as to the arrival of the units. I have told others in the building who have not made decisions that West Bay is the very best. Good day. I wanted to let your company know how very grateful I am and how very impressed I was by the speed and quality of the service I received. Thanks to your dispatch for getting a tech to contact me in less than 1 hour, and thank you to the great job done by Guenther Schuster on my water pipe. The job was done fast and extremely professional. Great service at a great rate! Who could ask for more? West Bay Mechanical is going into my contact list now and I will be recommending your service to all. I felt compelled to write the following regarding our recent service experience via West Bay, specifically Mr. Galen Toews. We recently had an issue with a plugging drain as a result of the use of our garburator. I think I should state I had no idea that West Bay did home service, I thought it was commercial construction only. Back to the point, we have had many visits from Roto-Rooter thinking this was their specially. I happened to be out of town this time when once again this problem reared its ugly head. This time my wife called West Bay to come and help us with this ongoing problem. The results of this visit was actually resolving the problem and discovering the issue that made it an ongoing one. Mr. Galen was professional and went the extra mile, which will save us money, and that we really appreciate. I cannot fully express how happy I am with the tremendous service I have received from West Bay Mechanical. From the very first contact to the follow-up visits after the heat pump was installed in October, I have been highly impressed with the dedication by your team to not only make sure that I was satisfied with the heat pump but delighted with it! From Justin’s first visit where he took his shoes off on entering the house (and then ended up, still smiling, walking through the wet garden in his socks) to your installation team who cleaned the dust up where the thermostat controller was installed, you and your team have gone more than the extra mile. You have even made yourselves available out-of-hours and weekends to take my calls to answer my questions when I was deciding which company to go with. I cannot commend you highly enough – your service is stellar and your prices are extremely competitive, as well! I ended up saving $800 on the next-best quote and got a better heat pump, too! My home, which is now toasty warm (and will be nice and cool in the summer), is a joy to come back to on these cold winter evenings after work. Thanks so much to you and your team for the excellent job installing the heat pump! The system is working really well, and we are so happy with how beautifully it was installed. We really appreciated how you took the time to listen to our needs and concerns, and coordinated the project so that everything went smoothly. Tristan, Joe and Clint were amazingly thoughtful and conscientious with every aspect of the installation. The electrician from RTD Electric who worked with the team was fantastic, going above and beyond the job requirements. We couldn't believe how much work was accomplished in just one day, and everything was perfectly clean at the end of the project. Everybody on the team exceeded our expectations with their craftsmanship and attention to detail. Thank you for your follow-up phone call yesterday. As Ron mentioned to you, we can’t thank you and your employees enough for the smooth, efficient and personable way you handled our installation. I must admit I did become a little anxious when I saw the size of the units, but the fellows explained the rationale behind the size, and that was enough to satisfy my concerns. We were also pleased that you were able to start the job a day ahead of time. Dwayne was very thorough in explaining the operation of the units. He certainly is an asset to your business. We immediately noticed a difference in the room temperature, and we have found setting it at 21° Celsius is perfect. It is so nice to get up in the morning to a warm home. Please pass along our thanks to all the fellows involved, including Rick, and a special thank you to you and Dwayne for making this such a good experience. “Responsive Service, Excellent Work on Kitchen Reno"
Craig, I have been meaning to send a quick email to thank you and all of your guys for the great work and response to issues during our kitchen reno. They were all very professional and great to deal with and the work has been excellent. Thanks again. “Excellent Customer Service, Knowledgeable Technicians"
I would like to thank Matt S. for going the extra mile and providing excellent customer service. Before we purchased our heat pump we had many questions and he came to our home twice to answer our questions. The installation of the heat pump went very well and we absolutely love the cooling. We had some issues connecting to the thermostat wirelessly and Matt came to our house and helped troubleshoot the technical problems we were having with our router connecting to the thermostat. He was very knowledgeable managed to fix the issue for us. We would definitely recommend West Bay Mechanical for heat pumps. Wow is all we can say! West Bay Mechanical exceeded our expectations, from our first phone call to the quick service provided. Their service representative, Adam, is a ‘Remarkable Star’: from the level of quality, professional service to a wonderful, positive attitude (something not often seen) to the great tip – “change that filter quarterly” – it was a pleasure having him as our repair person. With the heat soaring this summer (2014), the A/C on the new heat pump was not doing its job. It was installed by another company, and West Bay Mechanical managed to have us seen by their representative (Adam) the next day. Living in the Cowichan Valley, any repair/service issues are not sorted quickly. Friday, the problem was fixed (incorrectly wired); however another hiccup occurred. Monday first thing, Adam was back – hiccup dealt with. Service with a smile. Trades take note: This is how it is done! I just wanted to let you know how pleased I am with the work that Brian and his team did here at the Harbour Towers. They were quick to get started and stuck with the task until it was completed; this also included making a couple of fundamental changes on the fly. This was a job that could have easily taken two days to complete, but Brian’s crew pressed this job into just a few hours. He was very accommodating in allowing my team to make the necessary cuts in the ceiling as well as perform some much needed work on the lighting above the pool while the platform was in place. Thanks again for all the hard work and diligence in completing and cleaning up this project. I wanted to pass on that Mike worked very hard to help us solve a hot water issue. I think the team has given us good information and is aware of the financial cost to our Society. Jeff has done a comprehensive kitchen maintenance update and we are proceeding with the work suggested. Michelle has been helpful on the desk as well. I am pleased with the communication and follow through provided by the team. If you can pass on our thanks, that would be appreciated.  We would like to thank your staff at West Bay Mechanical for the fine service they provided installing our new furnace and fireplace March 11 and 12. Also, and especially to the installers, Dwayne and Joe who were courteous, efficient, knowledgeable and tidy. We also want to thank Matt Smith who helped us select the right equipment for our home and then patiently explained how everything worked. I would like to pass on my sincere appreciation to everyone on the West Bay Mechanical team who worked on our boiler upgrade project. I was very impressed with the professional and in-depth answers Jason provided us with during the scoping process. Knowing very little about commercial boilers, I appreciated Jason taking his time to explain some of the finer details on the proposal and how the new technology could benefit our building. He set our expectations high. My experience as a software project manager was that sales commitments do not always translate into the executed deliverables. Not in this case. Barry and his team did an amazing job in listening to the concerns that we had and coming up with cost effective suggestions to optimize the installation. His was part art and part genius; his workmanship was outstanding and the boiler runs amazingly well with no issues. I have to commend you and your team that our entire experience with your company has exceeded our expectations. It is very refreshing to feel like we got excellent value and excellent workmanship on the job. I would be happy to recommend West Bay Mechanical Ltd. to any potential customer. I am also going to cc this on to the Rental Owners and Managers Association BC staff for their records. I just wanted to say thank you for the great team you sent to do our installation. They were very friendly, professional and didn’t leave until the job was completed. They also went above and beyond by leaving our house neat and tidy afterward. Please extend our thanks to all of them involved, and tell them we are very pleased with their work. Adam attended our home and serviced our heat pump. He provided top-notch service and advice and my wife and I were very impressed by his attitude, knowledge, and level of service. He made the unknown very comfortable for us and was a pleasure to be around. We purchased a Daikin ductless split heat pump system from West Bay Mechanical in March 2013. We are interested in doing what we can to lower our carbon footprint, plus of course, we would like to save on our monthly electrical bill. Thanks to our new BC Hydro smart meter, we are able to monitor our daily electrical consumption and can happily report the Daikin heat pump is achieving an electricity saving of approximately 37%. We calculate the system will pay for itself within 6 years, provide us with an ongoing reduction in our electrical consumption, plus we find both the indoor and outdoor units to be very quiet as they go about heating our home. We chose to work with West Bay Mechanical because their representative (Matt Smith) took the time to measure our home and do a heat loss calculation before providing us with his quotation. This process ensured we received the right number of indoor units and that they were correctly sized for the areas they service. West Bay Mechanical also provided us with a very competitive price and Matt followed up to ensure he answered any questions we had before we made a buying decision. I have used West Bay Mechanical in the past for other electrical service and have always been pleased by the professional quality of their work. As always, when installing the heat pump, West Bay arrived on the day and time as promised. The installation of the heat pump system went as planned with all materials on-hand and in good working order. The installation crew was very respectful of our home, provided training for all users of the system, and cleaned up completely after the installation was complete. I highly recommend both the West Bay Mechanical and the Daikin ductless split heat pump. P. L. from Cordova Bay called in right as Martine was leaving to say he did a perfect job. She is so pleased, she just can’t believe it. He even had to go to the supplier and get a part for her Kohler toilet and she is very happy with the bill. She thinks Martine was fair and he even taught her a couple things and fixed the other toilet that wasn’t even in the original call out. Thank you to West Bay! We recently moved to Sooke from northern British Columbia and discovered that we needed a new furnace or heating system. West Bay Mechanical promptly provided a staff member who inspected our home, answered all our questions in a most courteous and professional manner, and provided a list of options and a recommendation of a solution that best suited our circumstances. The price quote for the product and services we chose was hundreds of dollars lower than the next lowest quote. Finally, the technicians who installed our new furnace were also very pleasant, courteous, professional and very helpful. We highly recommend West Bay Mechanical for their expertise and exceptional customer service. Thank you for the beautiful Birthday card! What a wonderful thing you create ... and to think it is for me ... well, it just brings tears to my eyes. Thank you so very much. Also thank you for the delightful cake ... OK, how did you do it? Angel cake, in three levels, with lemon in between and a softly creamy (non-sweet) icing ... how ever did you do that? MAGIC! That was it, magic! Also, I want to thank Ralph for everything he does ... whenever we have a problem, I call the service desk and Jaime or Michelle, answer and they provide a service without a blink of an eye! At every opportunity, I say, "If you want it done well, call West Bay ... and here is their number." As far as I am concerned, this is what we want. Once again ... you do too much for me ... but I appreciate it very much! Georgina R. had us install a new furnace for her. She was having a bit of trouble with it so she called us and I sent Adam out to her residence. She just called with wonderful things to say about Adam!! She is so pleased with him as well as his workmanship. She said he was very polite, helpful and he has made her very happy. Her furnace is working wonderful, her home is now warm and she asked me to send Adam her thanks along to him. Way to go Adam… We love phone calls like this…. Nicely done!!!!! Welcome to the team!!!! Called to say a big "thank you" to our superstars: Galen, Greg & Mike. Everyone so helpful - our staff went out of their way to accommodate the urgent needs. S. W. (Coast Guard) had Galen over to his personal home to do some work for him. He said Galen did outstanding work and is very pleased!! He said Galen was first class and definitely in our best interest to keep an outstanding employee like him. He is just tickled “blue”!!! Thank you very much Galen for your hard work at his home. Thanks Galen for your hard work!!! I just wanted to take a moment to compliment your company on the work that you have provided. You promptly provided a quote on the work to be conducted at my convenience. Your suggestions were greatly appreciated and improved the quality of the end product. In addition, your quote was less than that of your competitors. The workers which you assigned, Eric and Dwayne, arrived promptly on time and worked diligently. They were both courteous and professional. As a manager, these are the workers that I would want on my team. They took no breaks and needed no supervision. The quality of their work was superb. Many thanks for providing excellent service at all stages of the project. I look forward to using the services of your company in the near future. We are extremely happy with the hot water and furnace, although we haven’t had much opportunity to use the furnace (can’t complain about that). I also want to mention what a great job your crew did. They were all very courteous, did a great job and always willing to answer any questions I had while they were here. I have always been a big believer in word of mouth advertising, and I wouldn’t hesitate recommending you folks to anyone. As a matter of fact a number of the staff at Carolyn’s work at Sooke School District have asked, and we have passed your name along to them. I also appreciate the lead on the duct cleaning. We were very pleased with the job he did and will probably use him for years to come. That was a lot of work in one day – and we didn't get to properly thank the men that did it! They kept at their job steadily, and, it seemed to me, efficiently, and clean and tidily. I was really impressed when one chap asked for a mop, and then got down on his hands and knees to wipe clean the furnace-room floor - would the plumber who worked in our bathrooms the other day, been a tenth as thoughtful! I would be grateful if you would let them know how much we appreciated their approach to their work, and that the job is still working!!! Nice and quietly, too. Thank you for your help and guidance - what could have been made into a monster messy task, has been conducted most professionally. A team from West Bay Mechanical recently installed a Lennox Signature series high efficiency down flow gas furnace in my small home. They recommended this model as it has a modulating gas burner, with a variable speed blower and is over 97% efficient and runs very quietly. The furnace is perfect and it is very quiet. The team was great – they answered all of my questions, arrived right on time the day of the install and didn't stop working until the job was done. Great job! I recommend this company and will ask them to return in the future and do some other work. We received a wonderful call today from a Mr. R. L.
He had Mike D come out today (he specifically requested you) to look at his garburator. He was extremely pleased with the work you have done for him. He said you were helpful, nice and you took care of the disposal for him. You were the “perfect” individual for the job he required of you. Thank you again, Mike, for being so awesome out in the field!